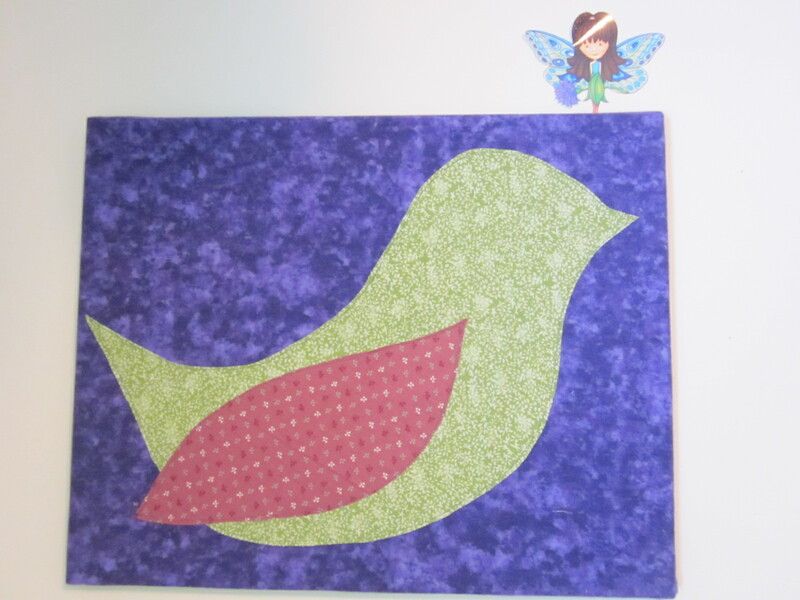 The canvas boards covered in fabric are probably what I am most proud of in Aleah’s room. Whenever I am in a thrift store, the first thing I look for are canvas board pictures. Most of them are quite hideous and it is pretty embarrassing buying them. I always want to explain to the clerk, “I promise I am not going to hang this creepy picture of a clown on my wall. I am going to cover the extremely ugly picture with cute fabric. 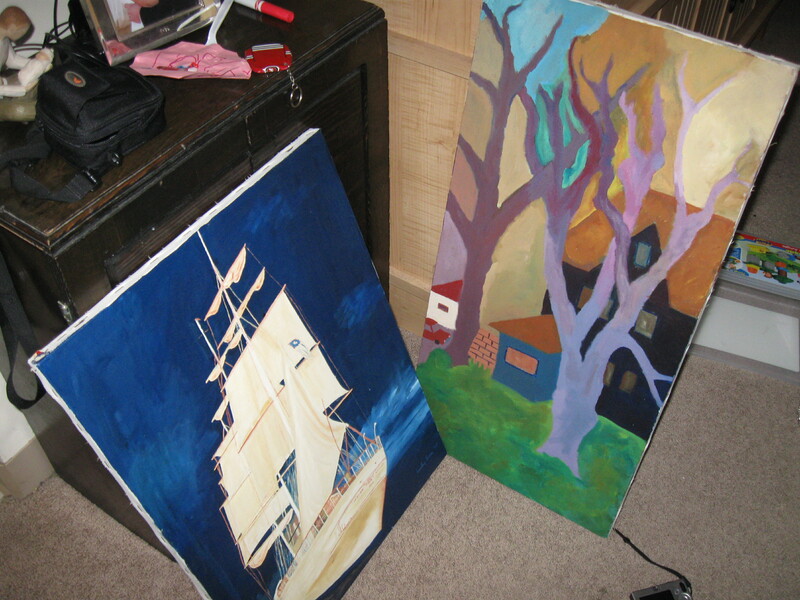 I promise.” But instead, I quietly pay for my horrible pieces of art and quickly walk away. 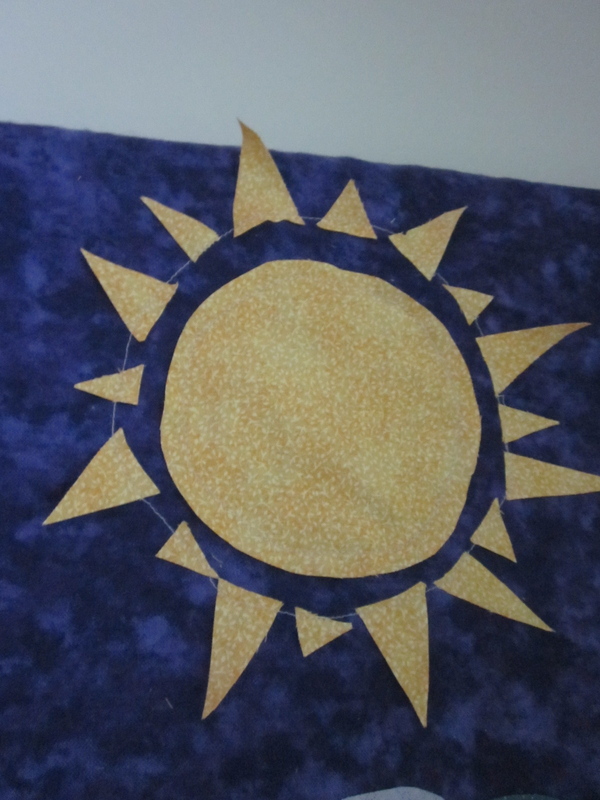 First, I cut out a piece of fabric for the background that extends about four inches beyond the the canvas board in all directions. 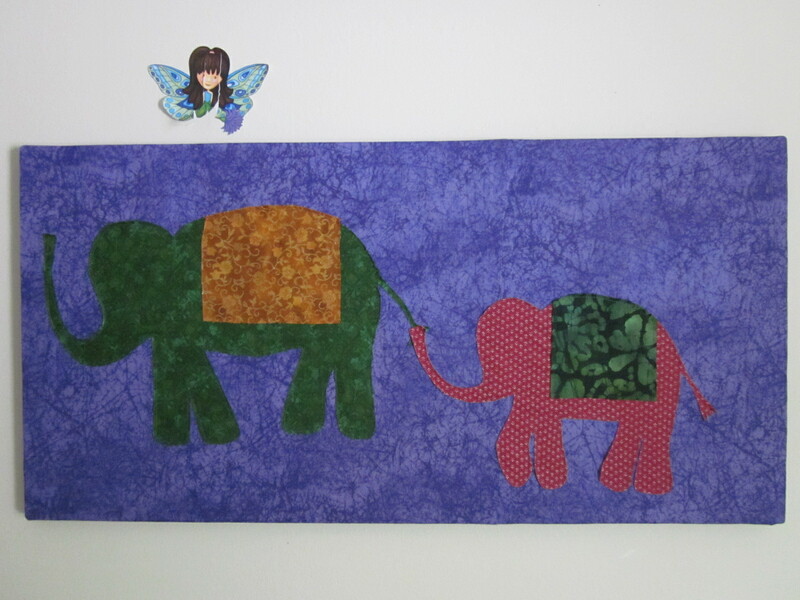 Second, I draw the design (a bird, elephant, etc) on some fabric with invisible ink and cut it out. 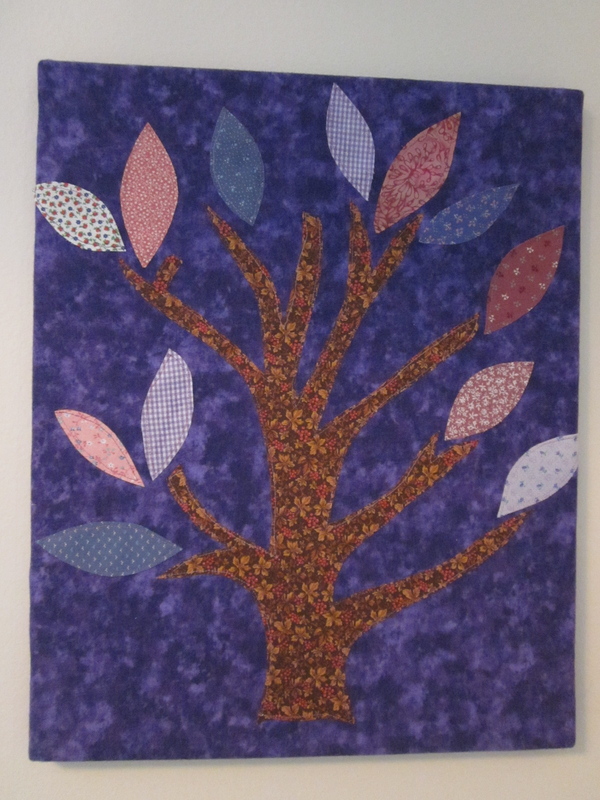 You can keep it simple by merely having one design in the picture, but you can also add colors and shapes to the design by using different fabrics for different parts of the picture. You’ll see what I mean below. Then we have a few options. You can either buy ‘heat and bond’ and simply iron the design onto the background, or you can get a little more complicated and sew around the border of each shape. Forth, put the finished fabric over your canvas board and staple it to the wooden frame on the backside of the canvas, pulling it tight so there are no lumps. I should have used a good, heavy duty stapler, but I didn’t have one so I just used an ordinary paper one. It has held great and I haven’t had any problems. Fifth, stand back and enjoy what you have made! Wasn’t that fun and easy and impressive? I am not a huge fan of this one but after it layed around for weeks, Jared made me finish it. 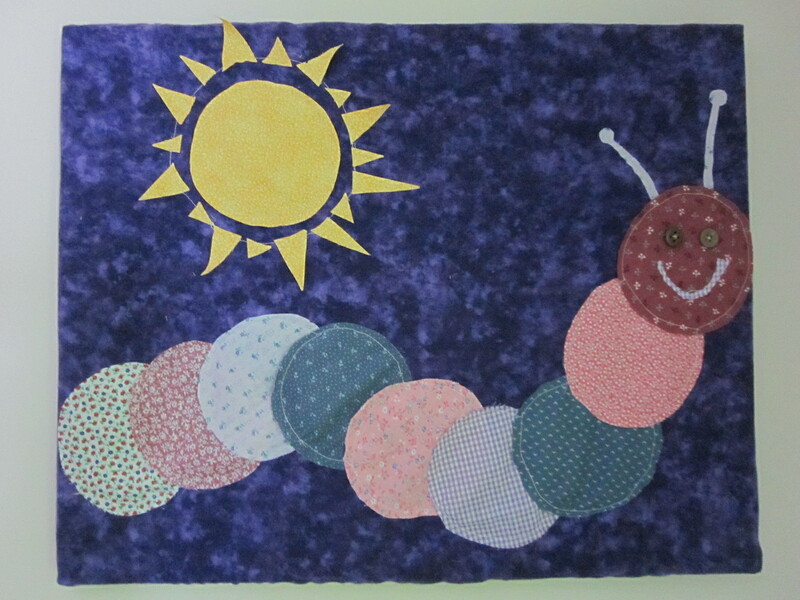 You can see, it was quite tedious because each section of the caterpillar was cut and sewn individually. Oh...and buttons for eyes! So go crazy with this idea and have fun with it. This project is fairly simple yet very rewarding. It makes for a perfect weekend project! What a fun idea! It is going to be filed away under our “Someday” category that my husband and I have started creating for when we start to have kids. Thanks for sharing! The caterpillar is my favorite one. thanks for looking Erin! That is such a smart idea to keep a compilation of things you like for when you start having kids.